Located in Manchester and minutes from downtown, our contemporary hotel is perfect for business and vacation on the East Coast. Our friendly staff, passionate service and comfortable accommodations make you feel right at home. Getting to our hotel is easy with complimentary shuttle to and from Manchester-Boston Regional Airport. Explore exciting local attractions, restaurants, and tours minutes away. Relax in our lounge, take dip in our indoor pool and workout in our fitness center. 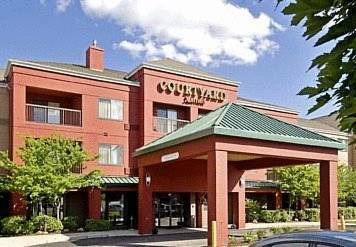 Courtyard by Marriott Manchester-Boston Regional Airport features spacious rooms and suites with luxurious bedding. Get inspired in flexible event and meeting space, stay connected with free high-speed internet and grab a bite at the 24-hour market. You'll find everything you need at your fingertips in Manchester!